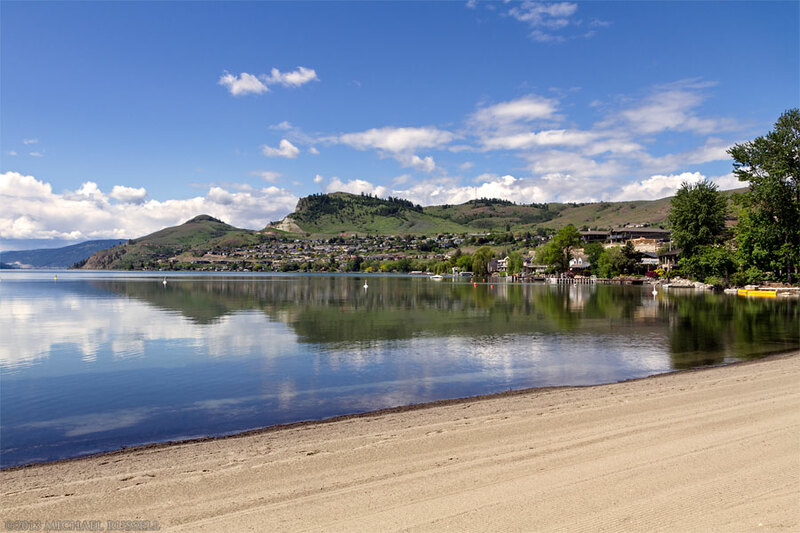 Kalamalka Lake and other areas around Vernon are among my favorite places in British Columbia’s Thompson Okanagan region. The above view of Kalamalka Lake, Vernon, and Coldstream was made on the same evening as another photograph of mine: a Panorama of Kalamalka Lake. Unless I am in a hurry, I always seem to stop at this lookout to stretch my legs and look at the view. 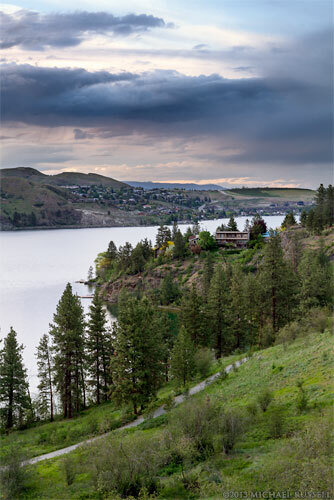 On this day I was coming back from Kelowna at just the right time for some blue hour photographs. 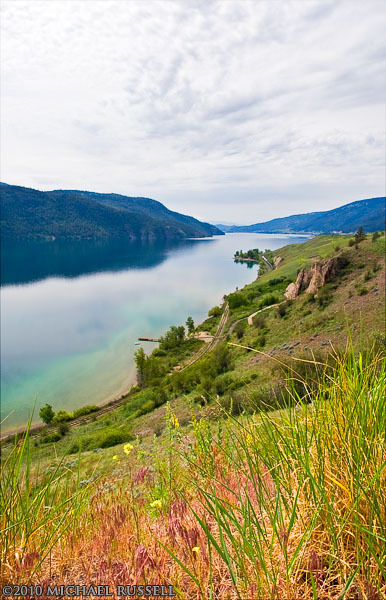 This second view is from Kalamalka Lake Provincial Park along the Corral Trail. In the larger version of this photo you can just see the viewpoint from the first photograph above on the hill in the upper left hand corner. For more photographs of Vernon, Coldstream and the surrounding areas please visit my Thompson Okanagan Gallery. 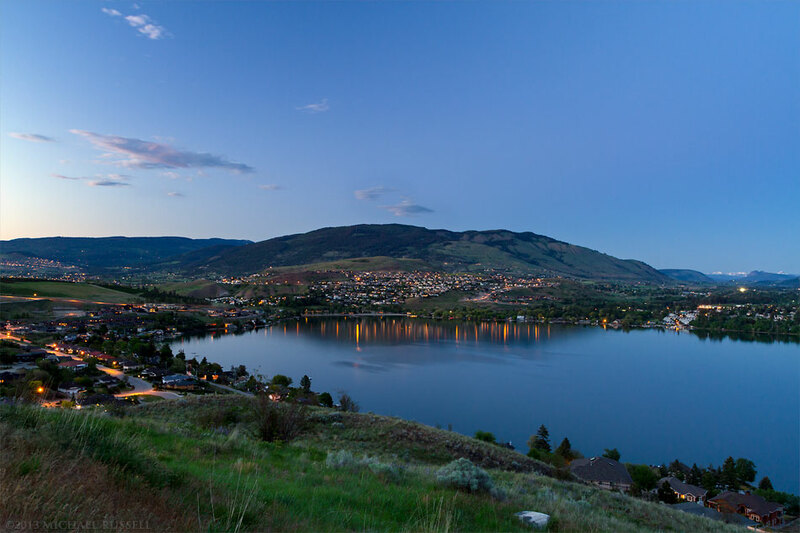 Panorama of Kalamalka, Vernon, and Coldstream in the evening from Vernon, British Columbia, Canada. After shooting some great sunset light near Vernon, British Columbia about a month ago I headed to this vantage point just off Hwy 97. The Monashee Mountains can be seen far in the distance behind the District of Coldstream. 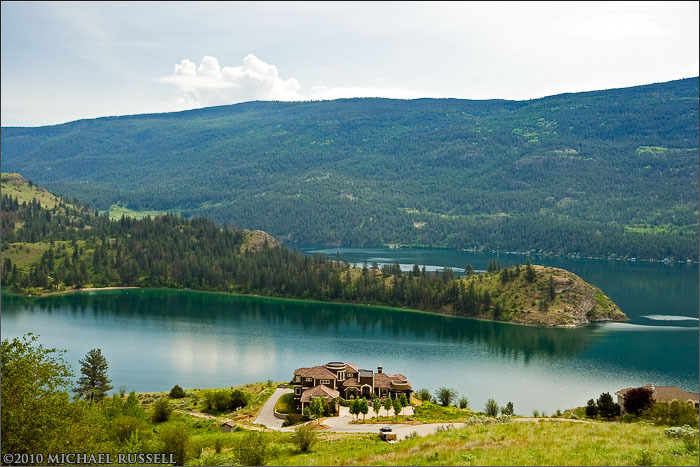 The houses and lights to the left are in Vernon, and the water in the foreground is of course, Kalamalka Lake. 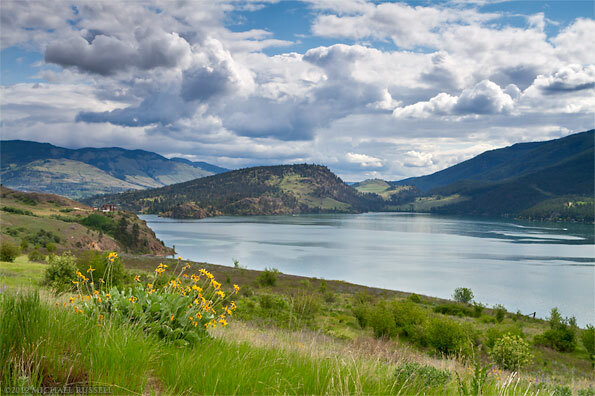 For more photographs of this area visit my Thompson Okanagan Gallery. 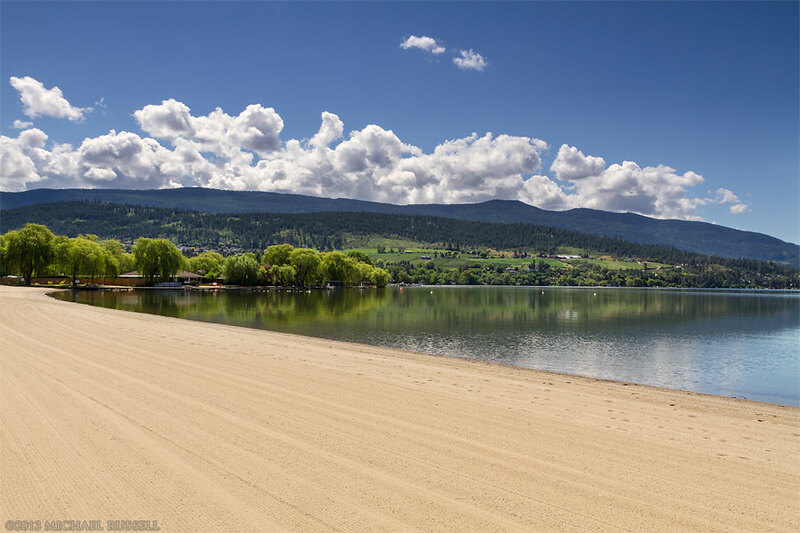 During my recent trip to the North Okanagan region of British Columbia I spent some time in Kalamalka Lake Provincial Park. 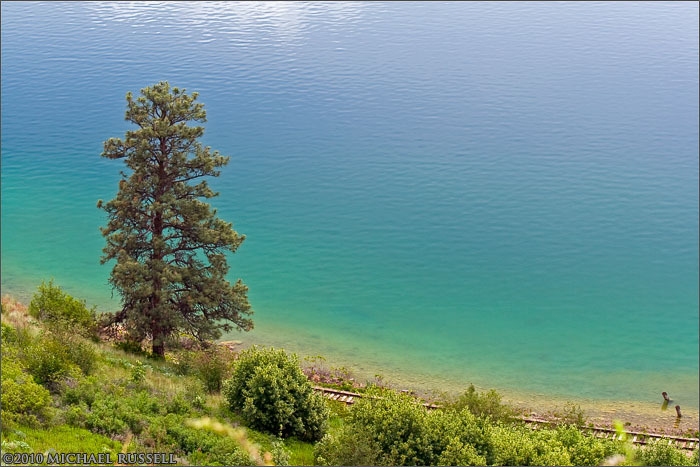 Of all the parks and areas I visited, I think this is my favourite view of Kalamalka Lake – a view looking down on Cosens Bay. The flowers in the foreground are Arrowleaf Balsamroot (Balsamorhiza sagittata) and I found them in full bloom which was fortuitous timing to say the least. What was perhaps not as lucky timing was what happened next. 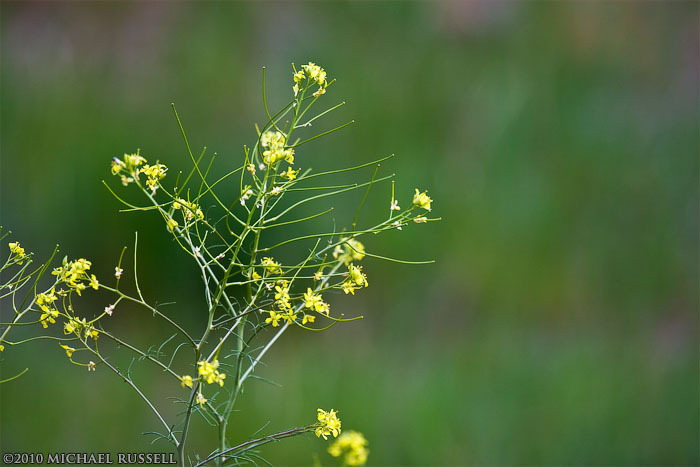 I walked a bit further up Cosens Bay Road and then jumped on a few rocks out into the grassy meadow for a better vantage point on some Balsamroot plants that looked promising. I try not to walk on vegetation if at all possible so rock hopping is a good opportunity to avoid this. I was about 10 feet into the field, standing on a rock, finishing up a photograph when I heard a distinctive rattling sound – but only twice. This made me uncomfortable to say the least – there are Western Rattlesnakes in the park and I’d just read a sign on the way in about them. They say on the sign that when you hear this sound you should identify where the snake is, then walk far around it. Great advice IF you can find its location! I could not – and it wasn’t rattling anymore so determining the source was not exactly going to be easy. Unable to find it I extended the legs of my tripod to their fullest extent and swept the grass as far ahead of me like I was looking for mines – and made my way back to the road. This was uneventful. I’ve read that people find unexploded WWII ordinates in the park too, so mine sweeping might not have been that far from the truth. The Cosens Bay area was a WWII mortar practice range. Every 10 years or so someone finds an unexploded mortar which has to be disposed of! Arrowleaf Balsamroot (Balsamorhiza sagittata) flowers in Kekuli Bay Provincial Park on Kalamalka Lake near Vernon, British Columbia, Canada. This Arrowleaf Balsamroot (Balsamorhiza sagittata) is growing in the fields of Kekuli Bay Provincial Park right on the shores of Kalamalka Lake near Vernon, British Columbia. 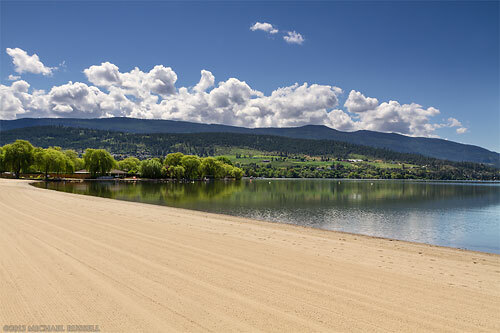 In the few days I was staying in Vernon I visited this park four times. It was on my last day, on the drive home that I made this photo – and it was fairly close to the images I had imagined at that location. My first day I was there looking for sunset only to realize the sunset was not in the right direction for what I wanted. 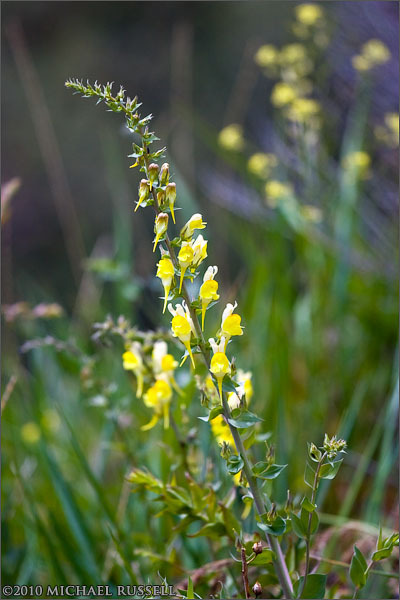 The next day the light was great for a while but when I returned to Kekuli Bay a storm brought some wind and horizontal rain – so nice wildflower/lake photos were not going to be easy. This did present another opportunity I had not anticipated though – and I’ll write about that later. Luckily the conditions were just what I wanted on my way back home, and I knew exactly what I wanted to shoot having been there numerous times already. 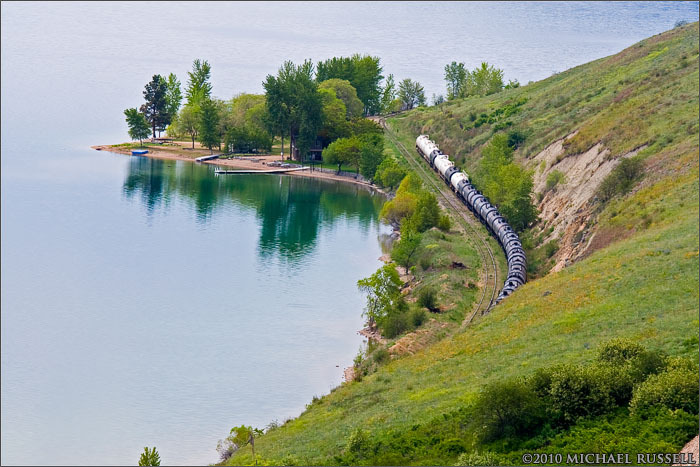 For more photos of this area visit my Kekuli Bay Provincial Park Gallery. 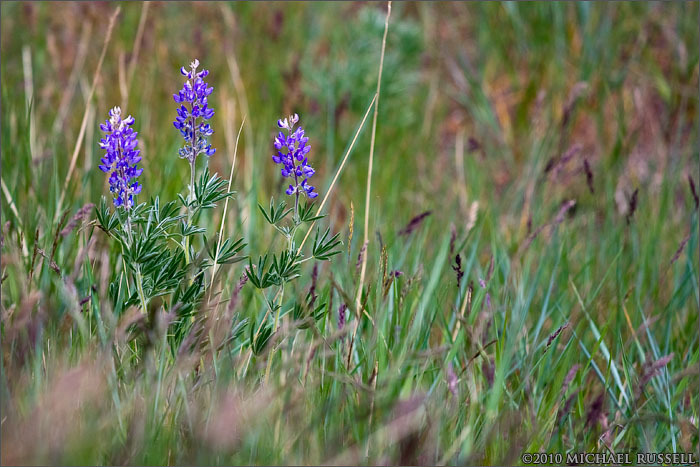 I arrived at Kalamalka Lake in May just before the bulk of the wildflowers had really started to flower but there were some Lupines (Lupinus arcticus) in bloom and the invasive species Toadflax (Linaria vulgaris) mixed in amongst the grasses. 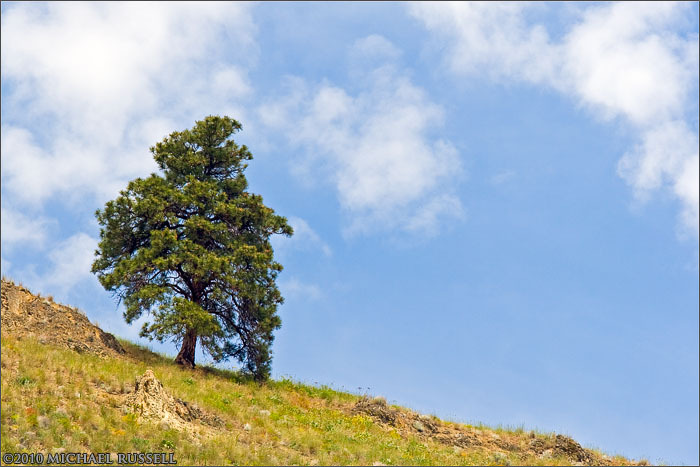 First photo here is a lone Ponderosa Pine (Pinus ponderosa) that is unaffected by the Mountain Pine Beetle (Dendroctonus ponderosae) outbreak rampant in the interior of British Columbia.